With an executive order this afternoon that sent shock waves through the educational and political communities the second it was announced, Gov Larry Hogan, Republican of Maryland, ordered public schools in the state to start each school year after Labor Day and end it by June 15, beginning with the 2017-18 academic year. The initiative was largely the brainchild of state Comptroller Peter Franchot, a Democrat. He started circulating a petition two years back, collecting almost 25,000 signatures from Marylanders who wanted the government to push the start of the school year after Labor Day. But on April 8, 2015, I wrote what I hoped would be the concluding post on this matter, since all the school superintendents and the teachers’ union were against pushing back the start date to after Labor Day. I said, despite the strong feelings of good will such a move would build between the schools and the business community, the gains for business didn’t seem to outweigh the losses school leaders said they would suffer. I don’t support a state mandate to start school after Labor Day. Mostly, I agree with superintendents that the school calendar should be a local, not state-mandated, decision. But I also sympathize with advanced students, trying to shave a little off their college expenses by taking AP classes in high school, who want to get in as much instruction as possible before they have to take their tests. Keep in mind, the plan to reduce college expenses this way doesn’t always work, but at least that’s one intention of taking AP courses. I’m all for Mr Hogan’s business-friendly approach, but I just don’t see that happening here. Those business owners have kids, too, and those kids could be, just maybe, a little more important to them than a little more money. Then, two independent polls by Goucher College showed that more than 70 percent of Marylanders support the change, and today, this executive order happened. For high school juniors and seniors who need to take Advanced Placement exams or college entrance tests, the change will shorten the amount of in-school prep time by a week or two. Unless Mr Hogan has some authority to change the exam dates, those juniors and seniors are just going to have to get ready on their own if they still need those extra few weeks. Other students, especially younger students, and their families, though, will simply get a few more weeks of summer. That could be a good or a bad thing, depending on a kid’s family situation. Camps tend to finish up by mid-August, since that’s when most of the country starts heading back to school, so options may be limited for parents who need to find something for their kids to do or someone to watch them during the work day. Businesses in Ocean City and perhaps a few other places will clearly benefit from the change, as the water is warmer in August during the days that have been added to summer vacation than it is in June during the days that this change could take away. Vacations on the beach are just more likely in August than they are in June. Still, none of these arguments address the wisdom of the executive order, and some people are even challenging the governor’s authority to issue such an order. That will be determined over the next few months, but many of the state’s public school districts are already starting to put their calendars together for the 2017-18 school year. Time is running short for anyone to challenge this order, at least for the 2017-18 school year. Including the endpoints, there are 204 weekdays between the day after Labor Day (Tuesday, September 5, 2017), and Friday, June 15, 2018, the date by which the governor’s order requires the school year to end. The law requires students to be in attendance for 180 of those days, meaning schools can plan for no more than 24 days off in the 2017-18 school year. A few days might be added to or subtracted from this number in the future, since Labor Day moves around and June 15 will fall on a Saturday or a Sunday in two out of every seven years. What are the minimum and maximum number of days between the day after Labor Day and June 15, including the endpoints but not including weekends? At the other end, if June 15 is a Sunday, neither June 14 nor June 15 is counted (the executive order makes no special provision for these school years). And if June 15 is a Saturday, only June 15 is excluded from the calculation. In all other years, we can go right up until June 15 in our counting. We could produce the 14 theoretical school-year calendars for all the possible versions of September through June, showing how many weekdays are available between the endpoints, but as a practical matter, many of those calendars wouldn’t happen any time soon. So, what I’ve done is compute the number of weekdays available between the day after Labor Day for the next 10 school years and June 15 of that year, including February 29 if the school year is a leap year and including all holidays. If schools don’t have it figured out by that point, all the calendars I can draw won’t help. Also, I assume every school district will give kids Thanksgiving and the day after Thanksgiving off without fail. (This is also required by law). Subtract another two days automatically. Then subtract Good Friday and the Monday after Easter, both of which are also state-mandated days off. Schools also have to have off on Martin Luther King Day and Presidents’ Day. The rest of the days off are up for grabs and include holidays, religious observances, teacher preparation or workshop days (which I suppose could be scheduled before Labor Day and not make finding the days off any more painful), and so on. What I think is a nascent brilliance of this change, despite my earlier misgivings, is that it will force schools to become more efficient with their calendars. Just as lab rats with their thyroid gland removed will eat and eat, even until the overeating kills them, our schools have added not only holidays, winter break, and spring break to the calendar, but also institute days, teacher in-service days, and other days off. This “calendar sprawl” has done them in. I keep waiting for some school district to start the year on a day in July. Then federal and state law added testing days, and schools tacked on test-prep days. It has gone out of control, and this executive order may give schools an opportunity to rein some of that calendar sprawl in. 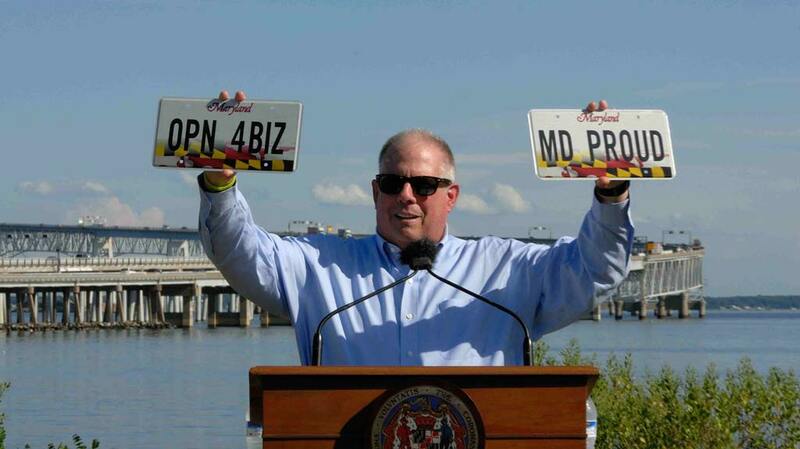 Mr Hogan’s desire to create a more efficient state with less waste shines like a beacon of his governorship. He has clearly called on school leaders to find the most appropriate ways to buck the trend of reducing summer vacation. They have to do it without reducing the quality of education in the state. Let’s make the best possible use of the 21 to 25 days we can give kids off during each of the next 10 school years.